Like that rich aunt you have who is always subtly insulting you for being poor, Montreal has an air of arrogance around them. They are not overtly rude (well at least not by French standards) but you can always tell they think they are better than you. This rich aunt also loves antiques, they just don’t make things like they used to you know. And while all her antiques are very nice and valuable, all it takes is one person to bump into them the wrong way and they are going to break. Then she will be left with nothing and be forced to spend the next few years slowly rebuilding her collection. Question Mark: How long can their old folks hold on? Calvillo, Chui, Cahoon and Sanchez… all arguably among the best in the league. All also the wrong side of 35. And it’s not like any of Montreal’s other star’s are young pups either (with the exception of Jamal Richardson and Keron Williams). At some point age will catch up to the team. They are pretty much fielding the same offense as last year which should mean a very potent attack yet again. Their weakness is pass defense. Last year they were second only to Hamilton is most passing yards allowed. Jim Popp and Marc Trestman elected to make very little changes so it’s up to the players and coaches to improve if they don’t want to celebrate Calvillo’s 5th straight Grey Cup choke. I'm a little disappointed in the picture you used this time. Seems a little to classy. 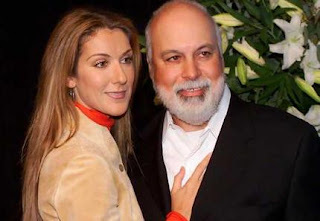 I agree with the Celine Dion, but the guy could be a bit more creepier. I'll be honest with you it was the first one Google Image brought up and I wasn't prepared to spend more than 30 seconds looking for a picture of Celine and her husband. (I died a little inside wasting even 30 seconds of my life on her).